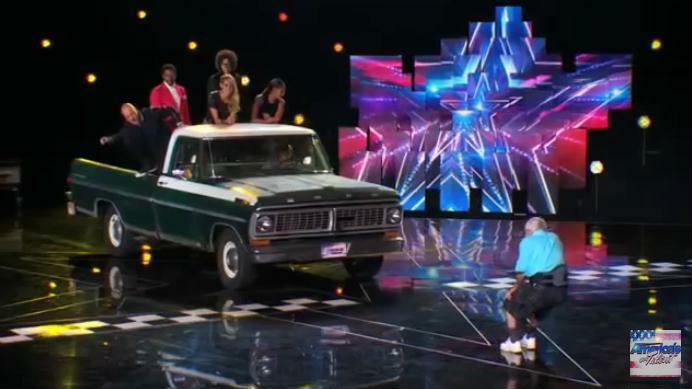 Jewish Humor Central: Old Jews Pulling Cars: Mighty Atom Jr. Returns to Pull Truck with Show Judges & 5000 Lbs. Old Jews Pulling Cars: Mighty Atom Jr. Returns to Pull Truck with Show Judges & 5000 Lbs. Last week we posted a video of Mike Greenstein, the 93-year-old heir to his father's title of Mighty Atom, pulling a car containing his girlfriend and his brother and his wife, a total of 3,500 pounds. 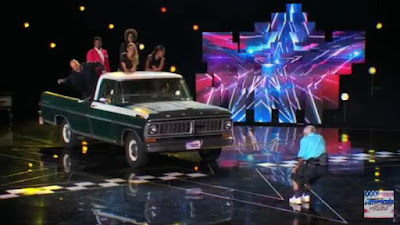 Then we found out that his feat wasn't good enough for him, so he came back to the America's Got Talent studio to try his luck in pulling a truck containing the show's four judges, a total of 5,000 pounds. That's a lot of weight to pull with only your teeth, but Mike was determined to succeed. Was he successful? Watch the video and see.